Customers are requested to ensure that their bin is adequately marked and identifiable. 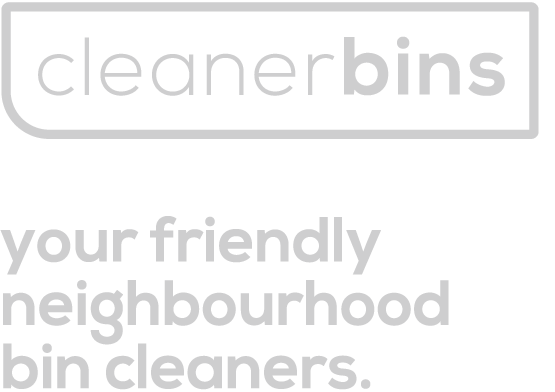 We will provide you with a CleanerBins sticker for your bin. In the event that this needs replacing please contact us. Customers are requested to ensure their bin is put out so that the council can empty it. Customers are requested to leave their bin out after it has been emptied so that it can be cleaned (If you have an assisted collection, please inform us and we will collect and return the bin to its storage position for you). Failure to comply with the above may mean that we are unable to clean your bin which will result in a missed clean. If any rubbish remains in the bin after the refuse collection, it will be at the Operative’s discretion as to whether cleaning can be carried out. If the Operative decides to clean the bin then any rubbish removed will be bagged up and returned. If your bin is going to be unavailable for cleaning on a scheduled cleaning day please give at least 12 hours advance notice to CleanerBins in order to preserve the cleaning credit. CleanerBins will notify the Customer of the start date of the monthly cleaning schedule and will provide the Customer with a calendar with the schedule clearly highlighted. Thereafter, it is the responsibility of the Customer to make themselves aware of the cleaning schedule and make their bins available for cleaning on the correct days. It is the responsibility of CleanerBins to notify the Customer of any changes to the cleaning schedule. This is a recurring service and will continue indefinitely unless the service is no longer required – Reoccurring payments can be set up when selecting PayPal as your payment choice. These are set up on a 6 monthly or 12 monthly basis. Payments will reoccur until the PayPal account is cancelled by yourself. If payment is not received, CleanerBins will at their discretion, clean the bin on the next scheduled cleaning day and issue a reminder notice that you are now in arrears. Any bank charges incurred by CleanerBins which are directly related to unpaid accounts will be the sole responsibility of the Customer ie: un-cleared cheque fee. In the unlikely event that CleanerBins is unable to clean your bin, advanced notice will be given where possible and cleaning credits will be preserved. It is the Customer’s responsibility to ensure that CleanerBins has correct and current contact details. If the Council notifies the Customer of any change to the refuse collection please ensure that CleanerBins is also made aware. In the event of a Customer relocating, subscriptions may transfer to the new address where possible. If it is impossible to transfer the subscription, a discretionary refund of the remaining subscription fee may be arranged. You may cancel your order with us at any time prior to the start of your service. You will be entitled to a full refund of any money paid where we have not yet commenced cleaning. Once cleaning has commenced you will need to pay for the cleaning you have received but can cancel any further cleaning by letting us know in writing. Where a minimum of 3 cleans have not yet occurred, a minimum charge for the first 3 cleans will apply. Written Notice to Cancel must be received at least 48 hours prior to your next clean by letter or via our contact page. This is a recurring service and will continue indefinitely unless the service is no longer required – minimum of three months cleaning required. If cancelled prior to 3 months cleaning, the refund policy will apply. By using our service, you agree to these terms and conditions. When you sign-up for our service, we will collect your name, address, telephone number and email address from the form you complete. This is stored in our database. We need this information to provide the service you have requested. Your email will also be stored at our email service provider, currently Mailchimp. We will collect personal usage data through Mailchimp, such as how often you open and read our emails and the links you click from within our emails. This tracking is meant to help us ensure high quality content that engages our subscribers. We will only use this data to send you our regular updates via email. We will not subscribe you to any other email distribution lists or share your information with anyone else. You can choose to opt-out of our system at any time. Should you choose to opt-out, we will remove your email address and all the associated data from our database and our email platform, Mailchimp. Cookies do not personally identify customers or passwords. Credit Card information is not stored in cookies. CleanerBins will not sell or rent your personal information to third parties. CleanerBins will only disclose personal information if required to do so by law or if it believes that such action is necessary to protect and defend the rights, property or personal safety of CleanerBins and its website, visitors to the website and customers of our services. Our website may sometimes contain links to the sites of third parties. When you visit these sites, we suggest that you read their privacy policies. CleanerBins is not responsible for the privacy policies or the content of such sites. Whilst you are an active customer, we need this data to provide you with all information regarding your continued service. Having completed the service, we continue to hold your data on our ‘Inactive Customer List’ so that we can reactivate your account should you wish us to reinstate the service. We may also email you to update you on our services or include you in a promotion we feel you may benefit from. You may request removal from this list at any time. There is no scheduled purge or clean-up of this data. This does not include any data we are obliged to keep for administrative, legal or security purposes. If you have any questions or concerns regarding the data we hold please get in touch.